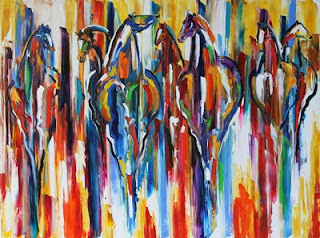 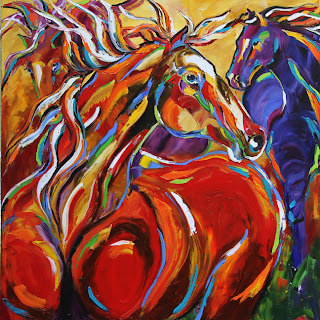 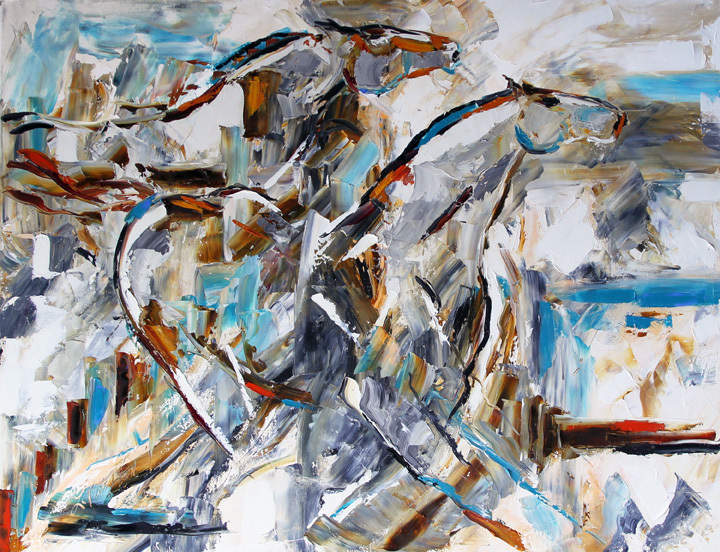 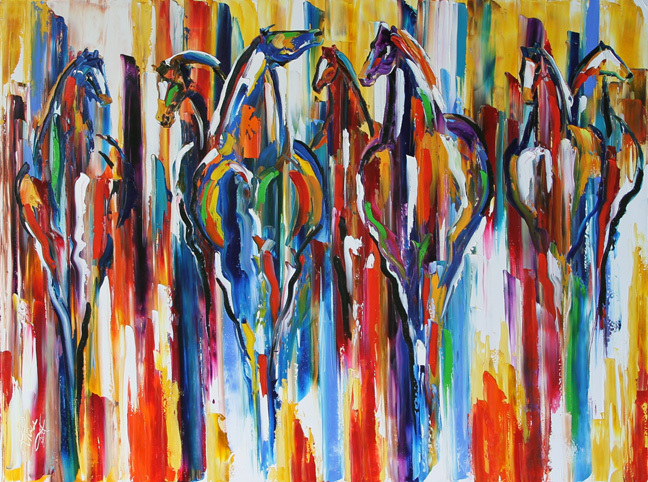 Laurie Justus Pace at Mirada Fine Art, Racing the Fence Line, Oil on Canvas, 30" x 40"
Laurie Justus Pace at Mirada Fine Art, Crowning The Hill, Oil on Canvas, 48" x 48"
Laurie Justus Pace at Mirada Fine Art, Colorado River Ponies, Oil on Canvas, 30" x 40"
Sergey Cherep was as Mirada Fine Art on Saturday and did what he does best...paint from the heart. 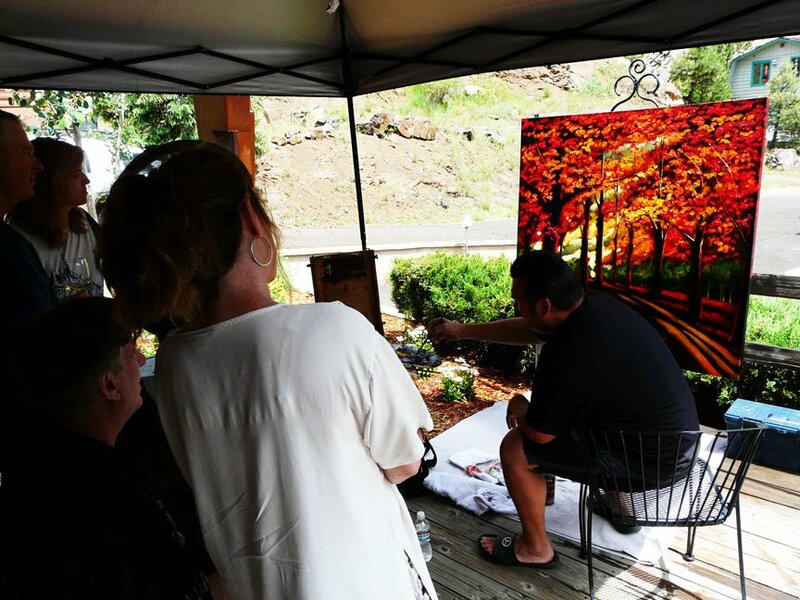 He amazed all the people who came to watch him at work...as he effortlessly finished off a spectacular 48" x 48" oil landscape. 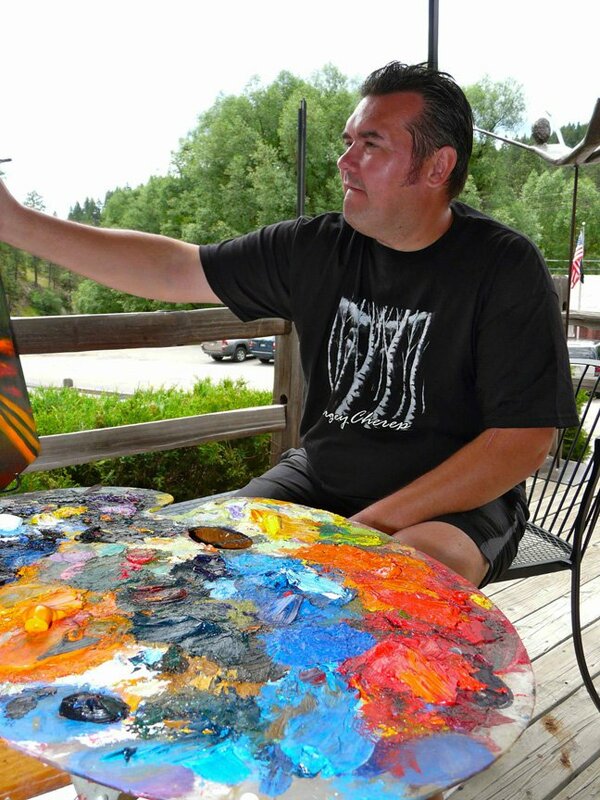 The piece was sold as soon as he finished it. Sergey also brought up some spectacular new pieces...definitely come by the gallery and see his new work! 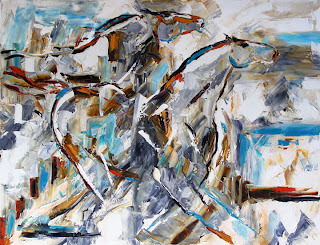 Sergey Cherep at Mirada Fine Art, Making it look far too easy! 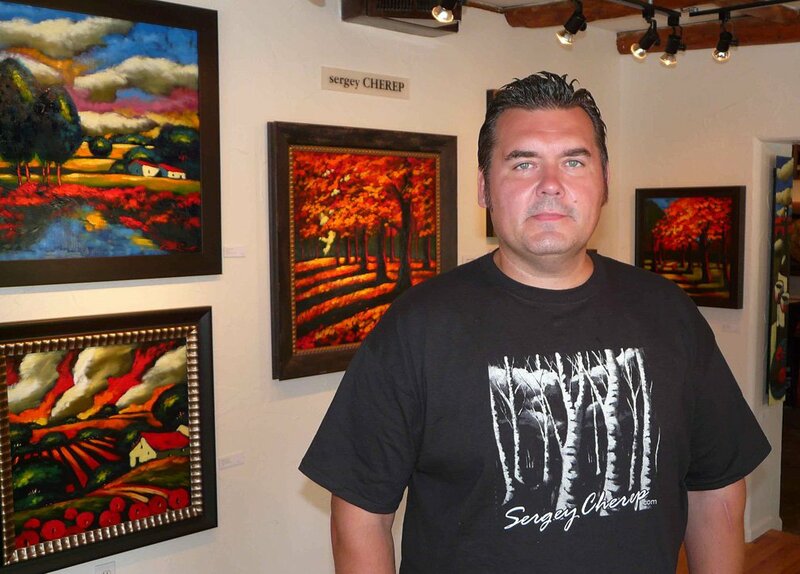 Sergey Cherep at Mirada Fine Art in front of his vibrant new landscapes. 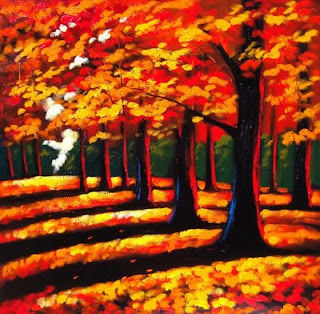 Sergey Cherep at Mirada Fine Art, Autumn Season, Oil on Canvas, 30" x 30"